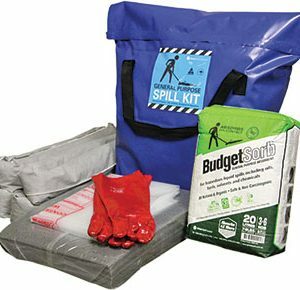 General purpose spill kits are also known as universal spill kits or all-liquid spill kits. They are used to soak up coolants, degreasers, paint, blood, bodily fluids, oils and fuels as well as mild acids, bases and water-based chemicals. 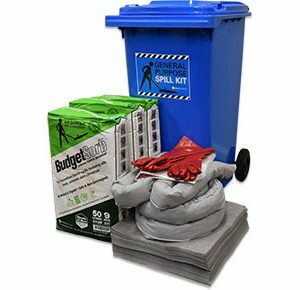 In the defense against spills in the workplace, these front line mobile response kits can be taken rapidly to the spill and are available in weatherproof wheeled containers or high visibility spill response bags that can be taken virtually anywhere. 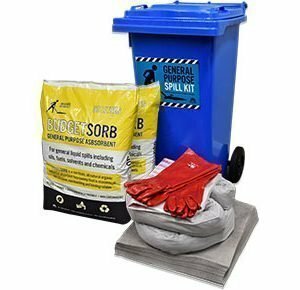 For use with all-liquid spills on sealed surfaces, these cost-effective kits provide clean up protection for many vehicle and workshop applications as well as hospitals, laundries or commercial kitchens. General purpose absorbents are colour-coded grey for easy identification.